The 2017 edition of the Museum of Comic and Cartoon Art (MoCCA) and the Society of Illustrators festival takes place April 1 and 2 in Hell’s Kitchen. 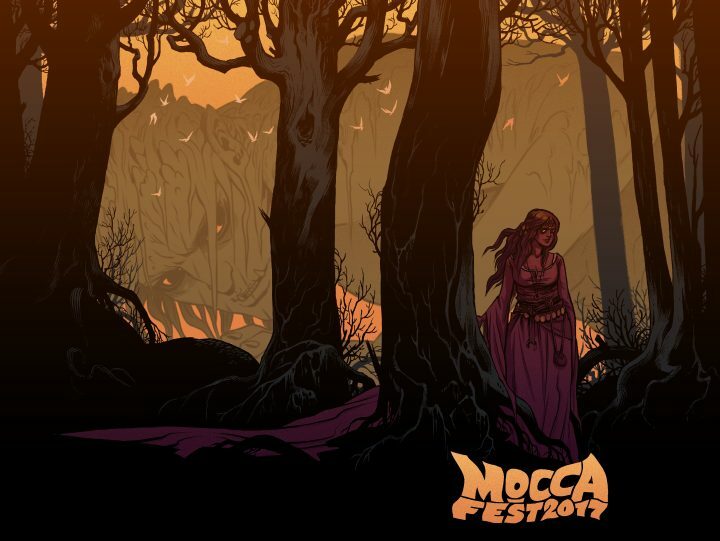 Fantasy, superheroes, and science-fiction are the bread and butter of the Museum of Comic and Cartoon Art (MoCCA) and the Society of Illustrators’ annual festival, but this year’s edition of MoCCA Fest comes with a hefty side of politics. The rich lineup of panels and talks includes artists Damian Duffy, Hazel Newlevant, Whit Taylor, and Gene Yang discussing the comics world’s diversity problems (April 1 at 12:30pm); illustrators Steve Brodner and Edel Rodriguez talking about the pleasures and challenges of making art about Donald Trump — which both have consistently met, from Brodner’s biting caricatures in The Nation and The Village Voice to Rodriguez’s striking Trump covers for Time and Der Spiegel; and Françoise Mouly and Nadja Spiegelman discussing the process of co-editing RESIST!, the newsprint comics compendium they created for the Women’s Marches in January. For those who’d rather look at comics than hear them spoken about, there’s always the main event, the showroom where works by more than 400 artists and authors of all sorts and styles will be on view, along with assorted merch, prints, posters, and more. And if you find yourself snapping up more comics than you can carry home, don’t worry — someone nearby is surely selling some superb tote bags.